← GET READY FOR THE NEW YEAR! REFORMER AND GROUP CLASS PROMOTIONS! SUMMER IS OVER … THE KIDS ARE BACK IN SCHOOL … AND ITS TIME TO GET BACK IN SHAPE! 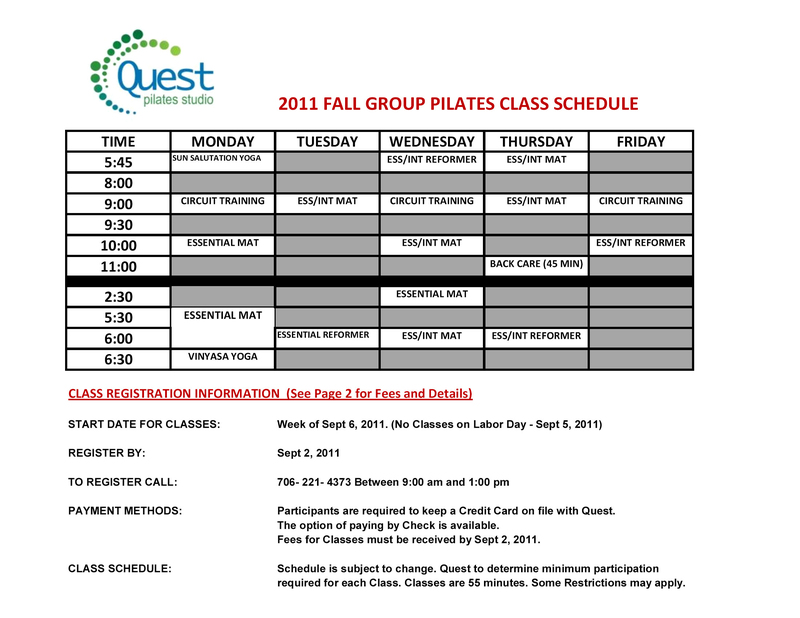 Quest has a new fall schedule including yoga and several new Pilates Group Classes! Please see below and call (706) 221-4373 to register for the fall!! For additional Details Click on the Class Schedule Tab.